Our parents sacrifice so much for our happiness. Let us now try and give them those little things that would bring a smile on their faces. 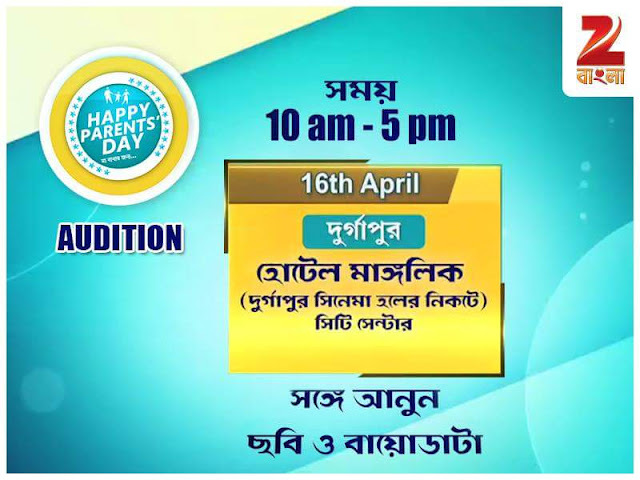 For the 2nd Season of the show , Zee Bangla provides a platform for all those people who want to fulfill some of the many wishes of their parents. 'Happy Parents Day 2016' is all about playing the game and winning those smiles for your parents. This unique show will be hosted by renowned film and theatre personality, Mr. Debshankar Haldar, who will be seen for the 2nd time on television as a host.